Biographical Info Rebecca Gibson knew she wanted to work as a writer, director, producer, and actor from a very young age. Following graduation from the New York Film Academy, a CFTPA International Internship took Rebecca to Los Angeles at the start of her film journey. Since, in addition to her own work as an actor, director, writer, and producer, Rebecca has trained and mentored thousands of writers, directors, actors, producers, and craftspeople. Rebecca is the Executive Producer, Co-Creator, Head Writer, and Creative Producer of the CBC/APTN television series Taken in addition to being an award-winning episode writer and director. Most recently, Rebecca won a Beyond Borders Media Award, and was nominated for two Canadian Screen Awards - Best Factual Series, and the Barbara Sears Award for Best Editorial Research. As a writer, director, and producer, Rebecca’s work includes the digital documentary series Child First, which premiered at the Understanding the Disability Trajectory of First Nations Families of Children with Disabilities National Summit, the documentary Daphne Korol: The Drama Queen of Winnipeg, and most recently the award-winning short comedy Hard Way Girl, which premiered in Russia and has been playing festivals around the world. Rebecca co-wrote and produced award-winning drama H&G which premiered at the Vancouver International Film Festival and is distributed by Multiple Media in Canada, and Amazon Prime in the United States and Europe. Rebecca is CEO of Moving Future Productions Inc., whose Orange Daisy Project is a social action campaign in support of mental health for teen girls, that includes a 40-part digital documentary series, a mentorship for emerging female filmmakers, a school and community tour, and a best-selling mental health workbook, which Rebecca co-wrote with her mentee Erin Danylchuk. Rebecca was recently honoured as a CAMH Difference Maker for her mental health advocacy, and is ACTRA Manitoba's 2018 Woman of the Year. Rebecca’s work as a theatre producer and director has included productions of The Tempest, Rent, and Sweeney Todd and she has done fundraising through her theatrical work for arts and community organizations, and for people living with AIDS and HIV. 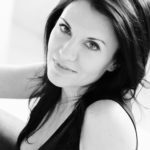 She is on the Board of Directors for On Screen Manitoba, and the Gimli Film Festival. Rebecca is a member of the Canadian Media Producer's Association, the Academy of Canadian Cinema and Television, ACTRA, Canadian Actors' Equity Association, The Winnipeg Film Group, Creative Manitoba, New Media Manitoba, and a leading member of WCAM - Women's Committee of ACTRA Manitoba. Rebecca recently collaborated with the Gimli Film Festival and Women in View to bring the highly successful Future is Female* day to the fest. Rebecca volunteers regularly offering individual mentorship, and work for schools and community organizations. Recently Rebecca was the Women's Mosaic Film Fund mentor, supporting filmmaker Erin Hembrador as she made her first film, was Sarah Luby's career mentor through Creative Manitoba, and was the director mentor for Women in the Director's Chair ShortWorks Award pilot project.